If you want evidence of the gulf between working in professional sports and the real world, the drama playing out at Manly would be exhibit A. 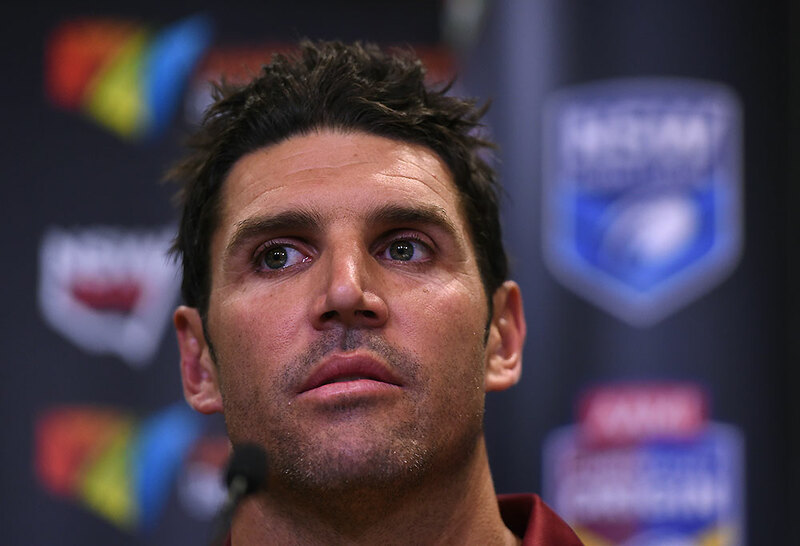 After three unremarkable seasons as coach, Trent Barrett has been replaced at the helm by former Sea Eagles mentor Des Hasler. Except the reason Des is back at the club where he won two premierships isn’t because Manly sacked Barrett – rather, it’s because Barrett tendered his resignation. Word is that Baz was sick of the club’s crappy facilities and general lack of resources, so he handed in his 12 months’ notice – in July. And, by the look of things, he assumed he’d simply be paid out and move on. But the Sea Eagles board clearly see things differently. Their take on the situation is that Barrett is an employee who has given his notice, so he can see that period of notice out and be paid for services rendered. Honestly, is that such a crazy position to take? If you gave notice at your place of work, would you expect to be able to just not turn up ever again but still get paid? When I’ve quit jobs, it’s played out in one of two scenarios: see out the notice period and hand over the gig to the next person, or walk away on the day and simply get paid out any leave owed. I’m sure there are other ways – I’m not exactly an expert on industrial relations – but I daresay that’s the way it goes for most people. Yet by all reports, Barrett wants to bail on the joint but be paid as though he was still head coach of an NRL team until July next year. Read: I’m out. Now give me hundreds of thousands of dollars. Where else but in the world of pro sports would that be even remotely entertained? And where else but in the world of pro sports would people think Barrett was in the right? This week, the man who should be captain of the Sea Eagles, Jake Trbojevic, urged his employers to stop acting “childish” and just give Barrett the six figures he doesn’t want to work for. “I think that has to be sorted soon,” Trbojevic said. “I think they just have to pay him out. That would be the sensible option. I don’t think making him turn up would be very sensible. Jake, buddy, no. You’ve been a first-grade footy player since you were a teenager, so your perspective is understandably warped. But in the real world, you don’t get paid eight months’ salary for quitting. That Manly would possibly ask Barrett to coach a lower-grade team is not childish, it’s actually a very grown-up thing to do. Coaches cost money – even the bloke blowing the whistle at teenagers tends to have a full-time, well-remunerated gig. And Manly have got two first-grade mentors on the books. Re-deploying the one who isn’t going to be there next August – and, no offence intended, has little work history and a patchy record – to apply his skills at a different part of the club makes sense if he expects to continue being paid. From the outside looking in, the Sea Eagles are a shambles at the moment, due in no small part to poor financial management. So that the board aren’t willing to just give someone a few hundred grand should be a rare point of pride for fans. Some – like Jake and his brother, Kangaroos star Tom Trbojevic – believe Barrett has been hard done by and therefore played the only card he had, which was to quit. But Barrett’s an NRL coach who gave 12 months’ notice in July. Surely he realised after making such a move, his position was untenable. How could the 2019 first-grade squad be expected to turn up and give their absolute all for a bloke who was going to bail on them two months out from the finals? And who was supposed to take the helm as the team limped to the finish line? And of course Trent Barrett knows a lame-duck coach means an uncompetitive team – the guy played over 300 games of first grade and rep footy. Yet he pressed ahead and told the club he was quitting. The minute he pulled that letter out of his pocket, his time at Manly had to end well before his period of notice. But he’s still digging in his heels and turning up to work so as not to be in breach of contract, in what must be a toxic environment for him and anyone he deals with in a professional capacity. Baz, it’s time to stop the bleeding. And since you made this mess – yes, yes, facilities aren’t good enough, everyone’s mean to you, my porridge is too cold – you should clean it up. Either go coach the club’s Harold Matthews side – in a comp that ends around the start of June, at which point you’d probably have accrued enough holidays to call it a day – or cash in your leave and head back to the Illawarra. They’re the two options we people in the real world have. And if you don’t pick one of them, you’ll have such a reputation among NRL clubs that you’ll soon find yourself as one of us.